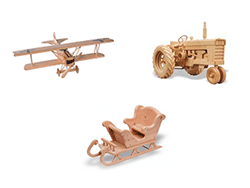 North American designers at Toys and Joys have been making quality plans for wooden models for decades. 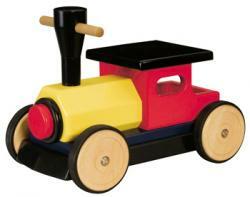 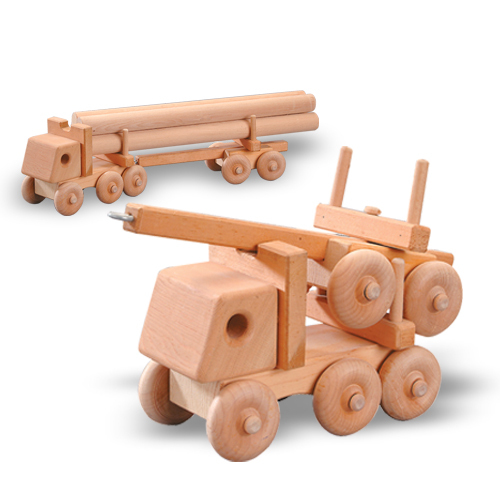 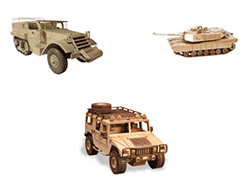 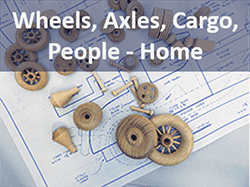 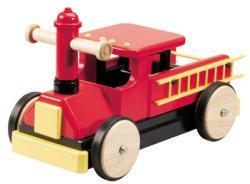 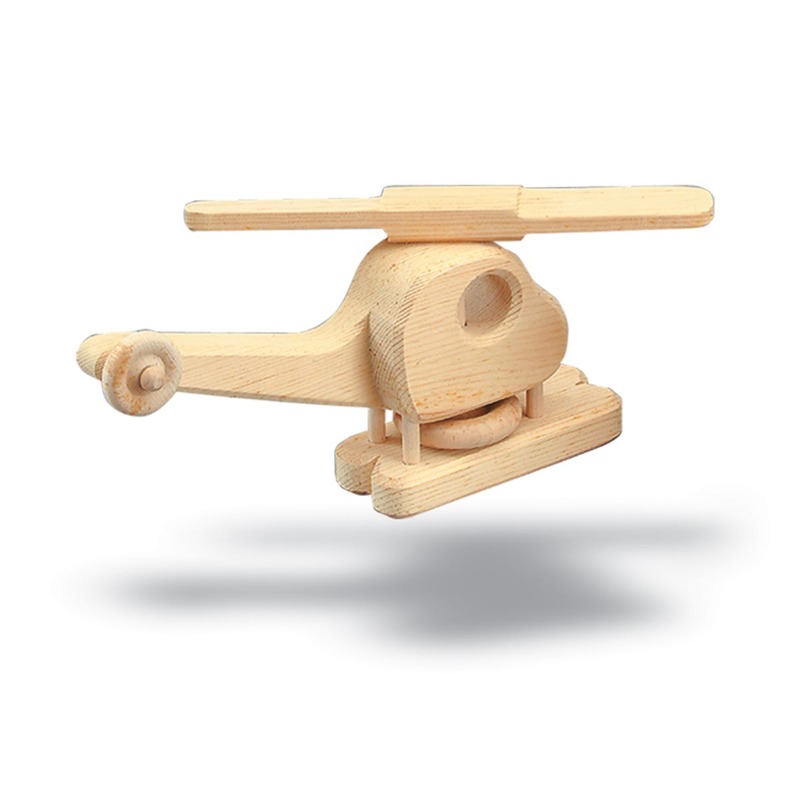 This Page focuses on the selection of Plans and Patterns to make smaller hand toys or simpler wooden model cars. 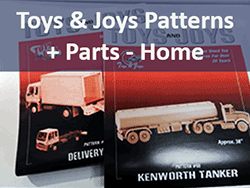 From Toys and Joys. 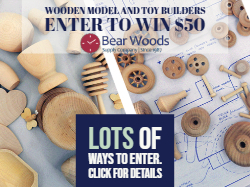 To browse the entire selection of woodworking patterns, click here. 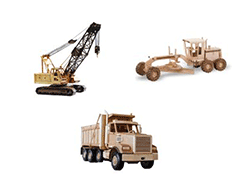 For most wood model plans we list the products we carry that we have available in stock today! 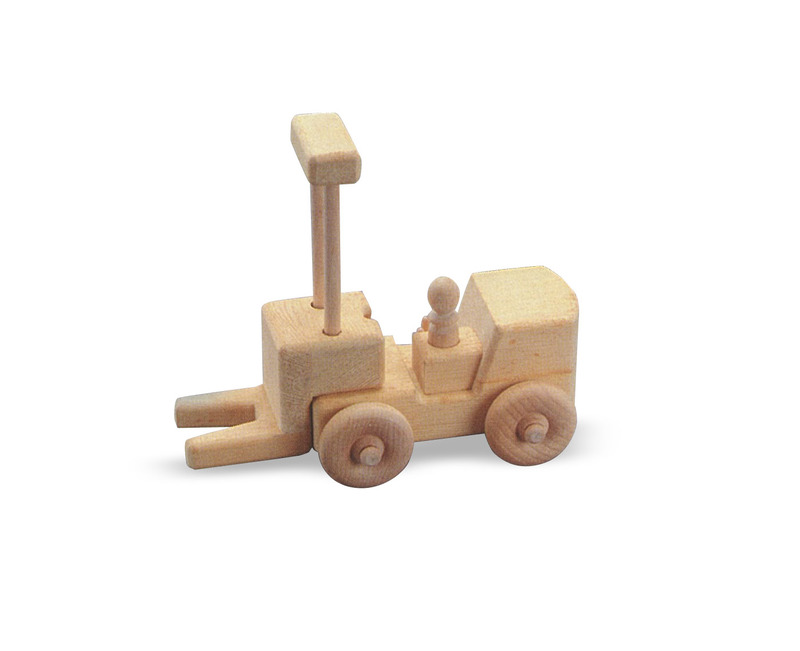 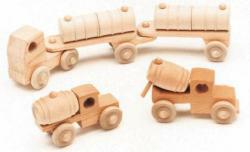 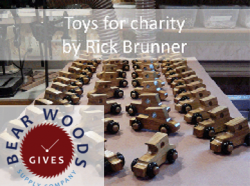 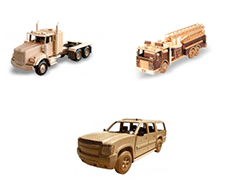 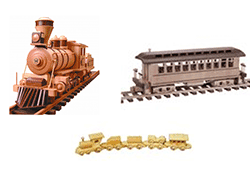 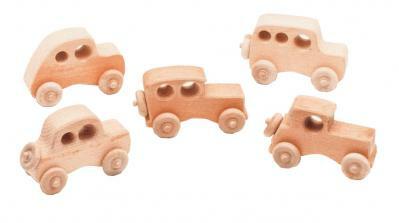 Wood toy wheels, smokestacks, headlights, cargo, pawns and more! 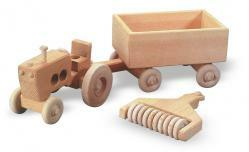 You will love the incredible realism! 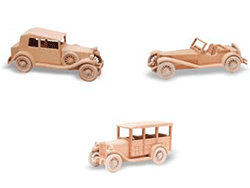 Fantastic Plans for Wooden Models!